As far as famous ministers go, JW Alexander (1804-1859) is somewhat unknown. He was saved in 1820, and entered seminary in 1822. He was given license to preach in 1825 under his first pastoral ministry experience in Virginia. In 1833 he was appointed professor of Rhetoric and Belles-Lettres in the College of New Jersey. From 1849-51 he was a professor at Princeton. Because of poor health and excessive labors from the revivals in 1857, he died in 1859. 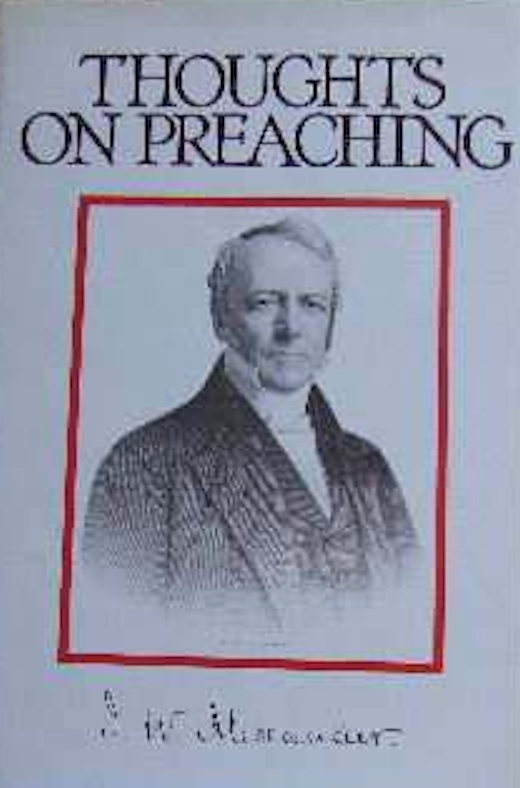 His book, “Thoughts on Preaching” was published posthumously, where he initially desired to write a volume on homiletics. This work, unfortunately, is a compilation of fragments that give the reader unconnected “thoughts” on preaching, rather than a copious volume instructing the minister. My intention with this work is simply to draw out some of the best aspects of the work, and note their placement in the work. If you would keep up attention, avoid abstractions in your sermons, except those of mere argument. Men who write with ease think best pen in hand. This applies to sermons, and also to books. In the sermon avoid technicalities, avoid heaping up of texts, like stones without mortar. The great, reason why we have so little good preaching is that we have so little piety. To be eloquent one must be in earnest; he must not only act as if he were in earnest, or try to be in earnest, but be in earnest, or he cannot be effective. A minister should begin early to grapple with great subjects. It was my manner to take some doctrinal head, such as Justification, and carefully to read the best authors on it, such as Calvin, Witsius, Markius, Dwight, making notes as I went along, and then endeavoring, when I wrote, to introduce the best things I could remember from these authors. I had not then learned, that the only way to profit from such authors, is to let their matter digest in the mind, and then to write freely, with a total forgetfulness of them. Only in this way, does it become our own. It has been often observed, that preachers who rely on their extemporaneous powers, are very apt to fall into a great sameness. The liveliest preachers are those who are most familiar with the Bible, without note or comment; and we frequently find them among men who have had no education better than that of the common school. On Writing down One’s Thoughts. 1. Writing does good to one’s thinking. 2. It has the same effect in part as animated conversation. 3. Many good thoughts are lost that might have been preserved in this way. 4. Many good trains are carried to a greater length by this means. 5. Style is improved, especially by promptness and facility. Earnestness and impressiveness in writing grow as one advances. 6. Write till you feel a glow. 7. Write when you feel a glow. You will otherwise loose the very best things that ever occur to you. Remember Pascal (vid. Bib. Rep. Ap. 1845). 8. This is one of the chief exercises of mind; therefore embrace every occasion. 9. Choose topics which will excite you in the greatest degree. Choose the most important subjects, difficulties but not niceties, fundamentals, cardinal and central points, those which touch the heart of systems. 1 0. Often give full scope to freedom of thought and style. Thought creates style. If you write down to your readers, you lose this particular advantage of writing, as exercising thought. Even in sermons to intelligent audiences there will be much of this, necessarily. It is desirable, therefore, to have some outlet for thoughts more free and unobstructed. The reflex influence of perfectly free composition is very great. What we so write, even in fragments, is remembered by us, goes to establish opinions, lays up arguments, gives matter for extemporaneous discourse, and molds the character. 11. Devotional writing and prayer are of the highest moment 12. It matters comparatively little whether you ever read over what you have written or not. Let contemplation have place while you speak. For this, pauses are all important. The best time for noticing emendations in a sermon, is just when you are done. They should be jotted down, even if you have no time to write. The ideal of a discourse is that of a flow from first to last. The minister meditates deeply, even on the smallest particular, and sees what has escaped others. Choosing the right text: The right text is the one which comes of itself during reading and meditation; which accompanies you in walks, goes to bed with you, and rises with you. It is a shame for a minister not to be acquainted with all the heads of theology, all the great schools of opinion, and all the famous distinctions: and he will not learn them well unless he preaches upon them. Theological study brings along with it other important and interesting branches; as doctrine, history, church history, symbolical history, dogmatics, metaphysics, ethics, homiletics. All these are of high value. They are all best approached from the side of theology. Theology is superior, because it is the grand result. That is greatest, which is nearest the end. Exegesis is only a means to that end. Theology includes all the other things. Dr. Thornwell appears to me to show some greatness in devoting his preaching powers to the making of great theological sermons. Those who do this successfully leave their mark on their generation. It is not the turn of the age however. The young ministers who are coming out seem to me to preach sentimental, rather than argumentative sermons. The pulpit is too sacred to be turned into a place for exchanging clerical civilities, or into a space for cermonious etiquette. The day was when churches were much more concerned than we, about the truths conveyed, and much less about the garb of the truths. Doctrine, rather than speaking, was what drew the audience. To select for this purpose, very frequently, those doctrines which are most vital; those which concern the salvation of the soul; those about which an inquirer or believer would seek information. In every age people have gone astray, by going away from the Bible. Late preaching experiments corroborate my opinion, that the very best preparation for extempore discourses is textual knowledge. He has not fulfilled his ministerial vocation, who has spent his score of years in solitary delight over ancient authors, and eaten his morsel alone. One Truth. — He who sets one great truth afloat in the world, serves his generation. Regulate the Heart. — It is more important to regulate the spirit than the steps. A right heart is better than a right method. A man may have ever so good a plan of duties, but he will do none of them if the feelings be wrong; whereas, if the affections be right, he will be almost sure to do what is proper. Hence praying is better than planning. We should never in any case quit the strengths of truth, because the minds of some cannot easily possess themselves of them. 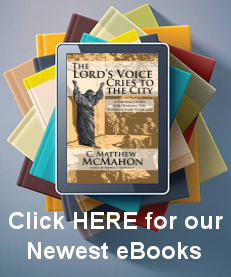 In one sense, unquestionably, the minister is commissioned to preach, not himself, or his experience, but Christ Jesus, the Lord, and his salvation; he is a messenger, and his message is laid before him in the Scriptures; it is at his peril, that he suppresses aught, whether he has experienced it or not. You will be called, as a minister, to spend much time in laborious study, the tendency of which is to draw the mind off from spiritual concerns; and sometimes in the perusal of erroneous, heretical, and even infidel works, that you may know what it is you have to combat. I have never thought that the circumstance of God’s having forgiven me, was any reason why I should forgive myself; on the contrary, I have always judged it better to loathe myself the more, in proportion as I was assured that God was pacified towards me, (Ezek. 16:63). Nor have I been satisfied with viewing my sins, as men view the stars in a cloudy night, one here and another there, with great intervals between; but have endeavored to get and to preserve continually before my eyes, such a view of them as we have of the stars in the brightest night; the greater and the smaller all intermingled, and forming as it were one continual mass; nor yet, as committed a long time ago, and in many successive years; but as all forming an aggregate of guilt, and needing the same measure of humiliation daily, as they needed at the very moment they were committed. Nor would I willingly rest with such a view as presents itself to the naked eye; I have desired and do desire daily, that God would put (so to speak) a telescope to my eye, and enable me to see, not a thousand only, but millions of my sins, which are more numerous than all the stars which God himself beholds, and more than the sands upon the sea-shore. There are but two objects that I have ever desired for these forty years to behold; the one is my own vileness, and the other is the glory of God in the face of Jesus Christ; and I have always thought that they should be viewed together; just as Aaron confessed all the sins of all Israel whilst he put them upon the head of the scapegoat. Such exercises as these, you will admit, may well give occasion for more than usual persistency in prayer. The private life of a Christian minister ought to be a happy one. Among continental divines the reading of sermons may in general terms be said to. be unknown. The normal method is that of pronouncing from memory what has been carefully written. The Holy Ghost at Pentecost distributed fiery tongues, and not pens. It is high time I obeyed the last direction by leaving off. As I do so, let me again remind you that great eloquence is not necessary to great success; that there may be great power of discourse where there is little elegance. He can never preach well who has nothing to say. Ministerial study is a sine qua non of success. It is absurdly useless to tally of methods of preaching, where there is no method of preparation. Ministerial study is twofold — special and general. By special study, I mean that preparation for a given sermon, which is analogous to the lawyer’s preparation of his case. If faithful and thorough, this may lead to high accomplishment. The due admixture of the contemplative with the active, of learning with labor, of private cultivation with public spirit, is a juste milieu which few attain, but which cannot be too earnestly recommended. Our position is only that care must be taken that the great reader be also a great thinker. When Sir Isaac Newton was asked how he effected his vast discoveries, he replied, “By thinking continually unto them.” Hence the preacher, who earnestly searches for truths to be uttered in God’s house, will often feel himself reduced to a posture of soul which seems passive. Thought is not engendered by violent paroxysms of conscious invention; any more than a lost coin or a lost sheep is found by running hither and thither in a fury of pragmatical anxiety. Let the wise thinker seat himself, and eschew vexing, plaguing cogitations. Those are not the best thoughts which are wrung out with knitted brows. Something must be conceded to the spontaneity of thinking. We do not so much create the stream, as watch it, and to a certain degree direct it. This is perhaps the reason why great thinkers do not wear themselves out; but often attain longevity. It is not meditation which weakens and distempers clerical students, so much as long sitting at the desk, and unrestrained indulgence at the table. Placid, easy philosophizing is one of the delights of life, and is fruitful. The theologian, above all men, should possess insight. We have been credibly informed that two distinguished living preachers, when formerly stationed in the same Western city, had, for an occasional auditor, an irreligious officer of the army. This gentleman said to our informant, that he listened to the one with the greater pleasure; to the other with less satisfaction, but with greater respect and reverence, if not profit. Being asked to explain himself, he said, “The former exalts the dignity of man, and I always come away pleased with myself. The latter so magnifies God, that I seem nothing, and I always seem oppressed with a sense of my own insignificance and unworthiness.” If preaching is to be estimated by the crowds it draws, we believe this man-exalting divine is now facile principle among American preachers. We can hardly conceive of a Christian discourse which does not implicitly contain, and, with greater or less explicitness, articulate a Christian truth or doctrine. The minister has no discretion as to setting forth the whole body of divine truth in the course of his inculcations. He may not add to, or take from the word of God. 2. He may not, with a good conscience, when in any way questioned or put to the test, disown, or give it to be understood that he does not believe, what he does believe to be the truth in Christ, on any consideration or pretext whatsoever. 3. But since he cannot, in any one discourse, or in any limited period, traverse the whole circle of divine truth, he must exercise his own conscientious discretion as to the times and occasions, when each respective part is to be brought forth as to divide to each his portion in due season. 4. As to all matters indifferent, whether of act or word, private and public, they are to be regulated by the single aim of giving the truth more facile and effective access to the souls of men: whether we eat or drink, or whatsoever we do, all must be done to the glory of God and the edification of souls. And it may not be out of place to mention here, that in the debates of the Westminster Assembly, there were more than a few members, and among these the celebrated Calamy, who maintained with earnestness, that it was no part of the minister’s duty to read the Scriptures in public without exposition. The expository method of preaching is the most obvious and natural way of conveying to the hearers the import of the sacred volume. It is the very work for which a ministry was instituted, to interpret the Scriptures. The expository method admits of being made generally interesting to Christian assemblies. The interpretation of the Scriptures ought to be interesting to every member of a Christian community. Truth is a queen who may be said to inhabit her own excellence; who reigns invested with her own native splendor, and who is enthroned in her own grandeur, and upon her own felicity. This queen condescending to reign in our world for the good of man, our Savior came down from above to establish her empire upon earth. Human reason is not consulted in the establishment of her empire. Relying on herself, on her celestial origin, on her infallible authority, she speaks and demands belief; she publishes her edicts, and exacts submission; she holds out to our assent the sublime and incomprehensible union of the most blessed Trinity; she proclaims a God-man, and shows him to us extended on a cross, expiring in ignominy and pain, and calls upon human reason to bow down before this tremendous mystery. Alexander, JW, Thoughts on Preaching, (Carlisle, PA: Banner of Truth Trust, 1988) 1. Page 120. Quoting Hall’s Works, p. 15. Page 232. R. Bacon, apud Henry’s Hist. iv. 366.